13 of the 20 enrolled members of LAB have given up their Labor Day weekend to sing all day each day, under the direction of Ben Johns ( LAB Choir Director) and William Fred Scott ( Chanticleer's Music Director. We are very proud that LAB is in its 7th year, and Skills LAB in its 6th. We are especially proud of the return participation of many students. 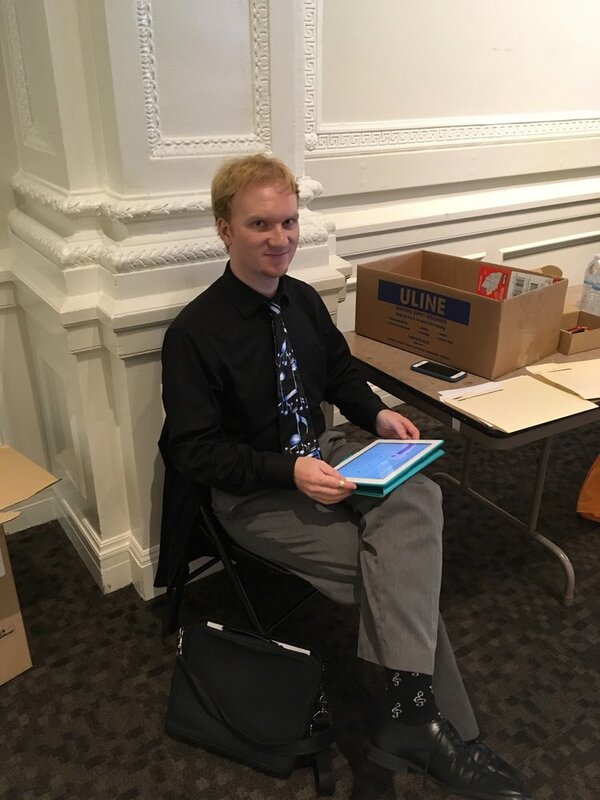 AND, that while LAB grads are all over the country in college now, some concentrating on music, and some not, one of them, Toran Davenport ( pictured below) who is in college in the Bay Area has become LAB's company manager. Toran holds the record for number of LAB sessions attended: he was in LABS V through XIII, and the first four Skills/LABS. LAB XVI's first appearance is very soon - before our concert outside the Mission Santa Clara on September. A number of members from the Livermore-Pleasanton area will be near home on September 21 as LAB entertains at a pre-concert reception at St. Augustine's.